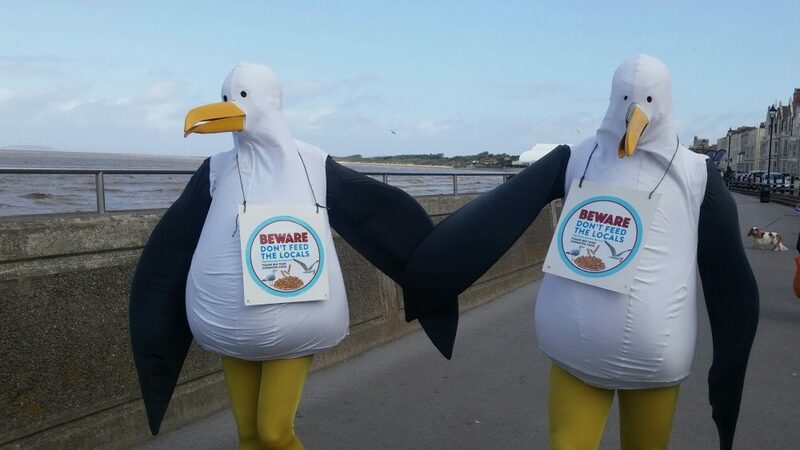 Litter Free Coast & Sea Somerset, the community campaign to improve bathing water in Burnham-on-Sea, is urging visitors and holidaymakers visiting Burnham-on-Sea to feed the bin, not the local seagulls this summer. The school holidays are now in full swing and families have been making their way to Burnham-on-Sea to enjoy a picnic on the beach or have a delicious portion of chips at the great food outlets along the seafront. But isn’t it a pain when a seagull sneakily steals a chip out of your hands! Not only are gulls dangerous when they dive, they end up pooing in the sea where we paddle and swim. When the Environment Agency measure the amount of bacteria in bathing waters to determine how clean they are, bird poo can be one source of bacteria. 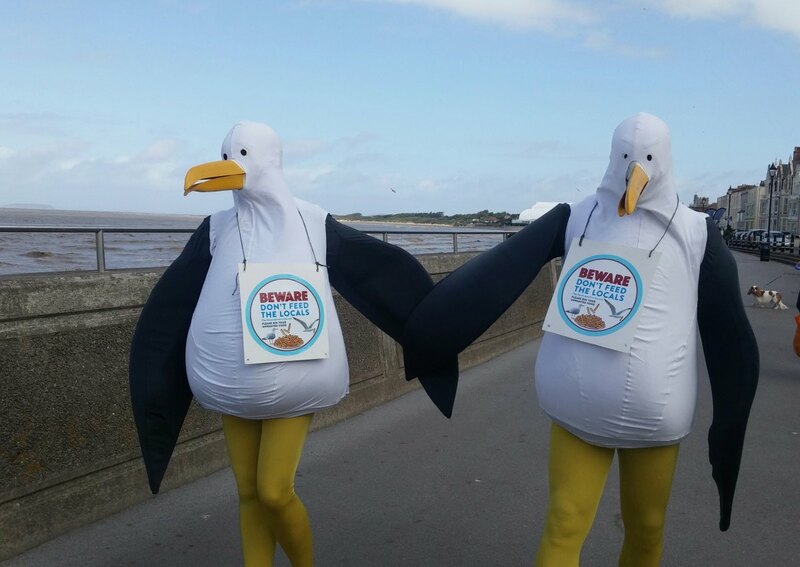 The campaign, planned for the first week of August, is joining forces with local take away outlets, cafes, pubs and caravan sites in Burnham-on-Sea as they are standing up to seagulls and encouraging their customers to feed the bin and not the seagulls. The food establishments and campsites will be putting up eye catching, vibrant posters and stickers in their windows and on their fast food packaging all with the same message ‘Don’t feed the locals’. The posters will be explaining ‘why’ people shouldn’t feed them and how to avoid a gull attack. So if you are heading to the seaside in the holidays, please don’t feed the locals and make sure you bin any leftover food. Remember, the birds aren’t hungry they’re just greedy and feeding them your food can will only encourage dangerous behaviour. 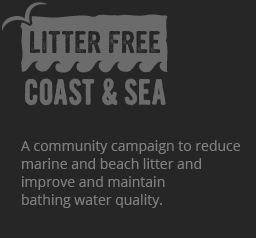 Please help make a difference to the water and beach and help us achieve cleaner seas and beaches. Litter Free Coast and Sea is an ongoing campaign originating in Dorset & East Devon, which aims to reduce the social, economic and environmental impacts of marine and beach litter, and improve and maintain bathing water quality by preventing litter from getting to our coast in the first place.